In June 1943, a German JU-88 squadron shot down a passenger airplane off the coast of Cedeira (Galicia, Spain). There were no survivors. 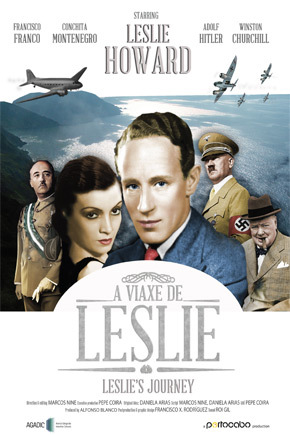 Among the passengers there was a distinguished personality, Leslie Howard. He was a Jew, an anti-Nazi propagandist, a Hollywood dandy. History is frequently written with forgotten fragments. 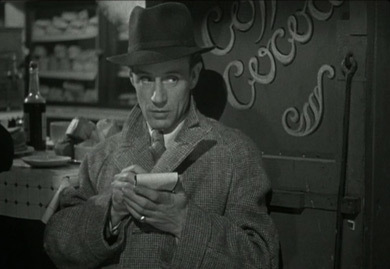 This is the tale of what may or may not have been the story of Leslie Howard’s last Journey. Marcos Nine, filmmaker and script writer whose work has been focused on documentary and experimentation. He began his career in 2001 as a script writer on TV series such as “Mareas Vivas” and “Terra de Miranda”, until in 2003 he started as a director of documentaries with “Carcamáns”, the story of the Prestige catastrophe in the Arousa estuary. From then on he begins to develop a career as a director in which he stands out especially for his use of preexisting material, be it cinematic or static, as a way of developing new languages. Author of more than a dozen titles, some of which such as “JEDN” (2006) or “Radiografía dun autor de tebeos” (2010) have been screened in Cervantes Institutes around the world, including Sao Paulo, New York, Istanbul, Naples or Manchester as well as in festivals such as Silver Docs, SIFF Seattle or Malaga Film Festival. His first full length film, “La Brecha” (2012), premiered in the prestigious Buenos Aires International Festival of Independent Cinema, BAFICI. Leslie’s Journey (2014) is his second full length film.